Matteo Salvini - Italy’s far right politician? We look at Italy’s Matteo Salvini, who is against refugees. Matteo Salvini has big ideas He wants to ‘save’ European values from the refugees coming across the Mediterranean! Salvini is playing a long game. He is only 45 years old and started slowly in politics but is now Italy’s most influential politician. Now he wants to go beyond Italy as he and his friend, Jean-Marie Le Pen, see themselves as leaders of Europe’s Far-Right neo-nationalist movement. They have the same ideas as leaders in Eastern Europe - Viktor Orbán in Hungary, Andrzej Duda in Poland. Salvini says, ‘Changing Europe is a big goal but it is close now’, and he is talking about becoming Chair of the European Commission. Salvini is the son of a Milanese business executive. He began in politics as a youth activist. He then became an MEP with the Northern League based in Lombardy. Their main idea was to support the ‘productive’ Italian north against the ‘lazy’ Italian south. 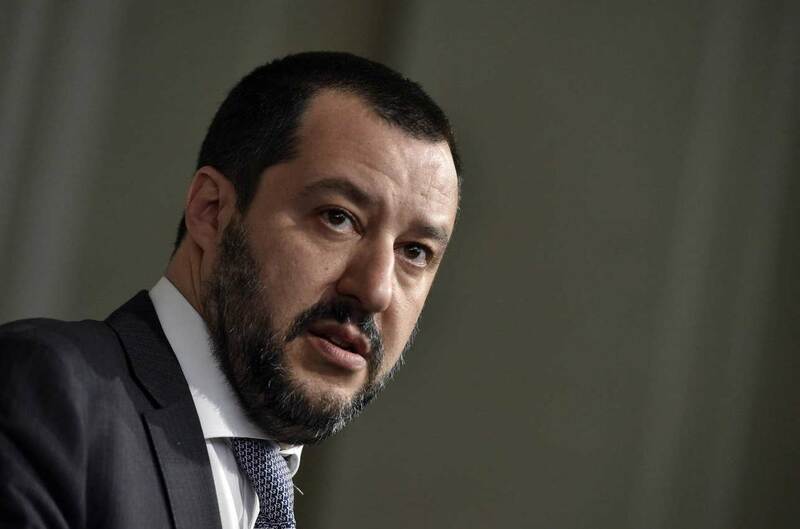 As he became more influential, Salvini changed the Northern League from an unhappy regional party to the ‘Lega’ – a rightwing populist party attracting votes from all Italians. He calls the people from Sicily, Regio Calabria, and Naples ‘the zeros’ and now he also calls migrants who want the safety of Europe ‘the zeros’. He started his immigration policy with the impossible promise that he would send home 500,000 migrants. Next, he would shut all mosques. Migrant numbers are falling quickly but many unhappy Italians like his idea of ‘Italians First’. When he became leader of the Lega, Salvini got his chance in the 2018 elections. This was when Italians of all political opinions were very unhappy with the country’s leaders and traditional parties. The populist Five Star Movement (M5S) finished first with almost a third of the vote, and the Lega received 17.69 per cent and became the leading force on the Italian Right. Salvini persuaded the M5S and their leader Luigi di Maio to make a governmental alliance and got the important Interior Ministry job and the Deputy Prime Minister job. As the M5S try hard to find room for their Citizen’s Income policy – a not very good Universal Basic Income policy - in the weak Italian budget, Salvini is 100% nationalist. He speaks against immigrants and Brussels, which costs nothing. It’s difficult to see what the two parties have in common - Salvini promises tax cuts for business and di Maio promises to give more social support to the unemployed youth and unhappy Southern Italians in the M5S. Salvini knows how to use social media – he speaks against refugees, Roma people, and political opponents and at the same time tells people what he is having for his dinner or how his love life is going. This ‘selfie politics’ has 3.4 million Facebook followers and 900,000 on both Twitter and Instagram. When he split up with his journalist girlfriend very publicly, one of his followers said, ‘Your true woman is Italy, she will be faithful and thankful!’ In fact, Italians seem to like Far-Right politicians, for example, Mussolini from the past and more recently the annoying Silvio Berlusconi. Berlusconi is possibly the model for Donald Trump and Benjamin Netanyahu. If European values include democracy, equality, and tolerance, Salvini does not want to support them.